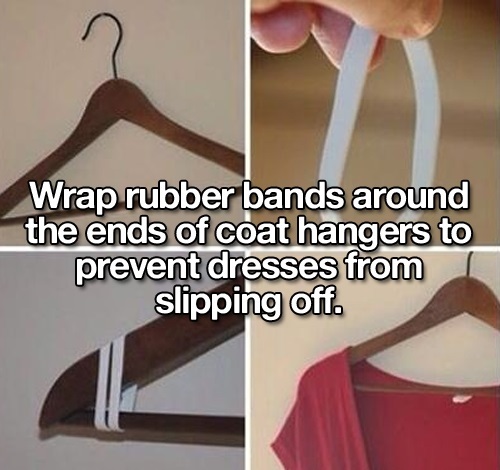 We're not saying that these fashion life hacks will change your life, but they'll definitely change your closet. Let the style inspo begin. Some artists use clay. She uses her hair, and it's absolutely unbelievable. Lazy girls, rejoice! Your go-to hair style is now a thing! It has more history than you think. Grab a pair of scissors, you're going to use them after reading this. See what other cultures consider beautiful! If you don't have any baby wipes, a dryer sheet will also work to remove the marks. 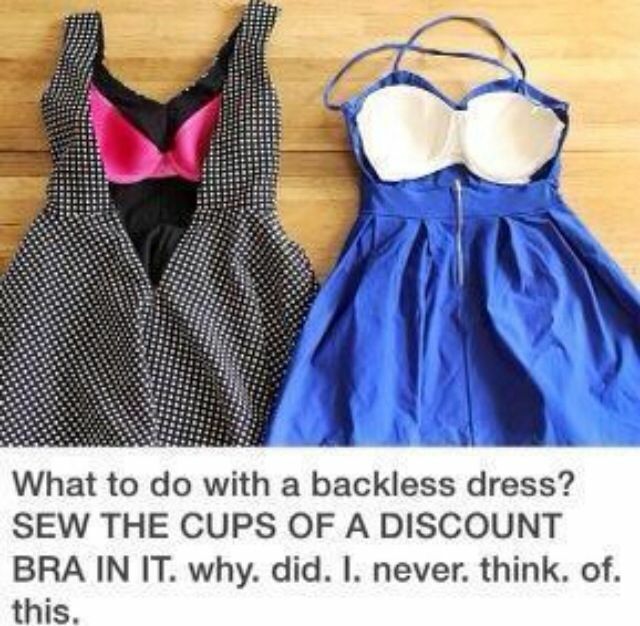 You can also do this on a strapless dress. No muss no fuss! Also, to keep your boots sitting up straight in your closet, stick a rolled up magazine inside them. This also works with pool noodles or wine bottles. And if your tights do start to shows signs of tearing, apply some clear nail polish on it to prevent it from getting worse. You can also use a tooth brush to clean your suede. You can hang it on the outside of the shower curtain, or on the towel rack. You can wear non-skinny jeans with boots with some careful tucking, and socks. 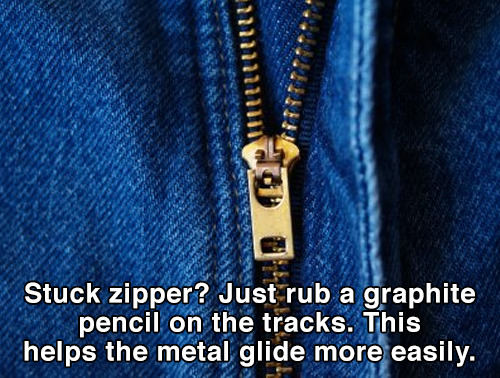 Some people also use mitten clips to keep their jeans in place. Also, if the plastic piece at the end of your hoodie string is falling apart, you can paint over it with clear nail polish. The green stain comes from the copper. 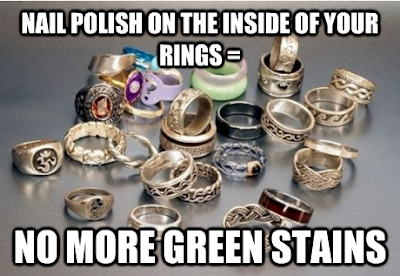 Even sterling silver jewelry has a small percentage of copper in it. And when you're ironing a button-up shirt, button it and flip it inside out. 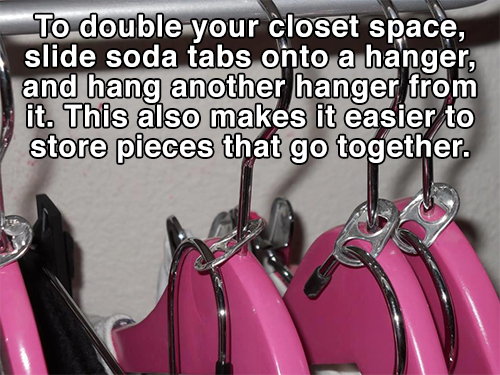 This is great for small closets and dorm rooms. Other things that work: Chapstick, Vaseline, and a Q-tip dipped in olive oil. Got scuffed up heels? You could rub it with a tiny amount of Vaseline, or just give it a facelift with some glitter.